This Easter, HoneyBaked Ham has come up with a fun promotion tied to the holiday, a commercial that first ran in December about a woman named Kelly and her failed attempt to bake a ham. 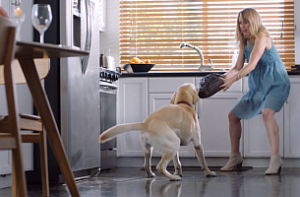 In this social campaign by BBDO Atlanta, Kelly is back and saving herself the trouble of baking and going straight for a HoneyBaked Ham. And as a goodwill gesture, HoneyBaked Ham is offering everyone named Kelly a discounted ham, because nobody wants to eat a Kelly Baked ham for Easter. Not even people named Kelly. The social posts, which encourage users to tag the Kelly’s they know, will run on Honey Baked Ham’s Facebook page.